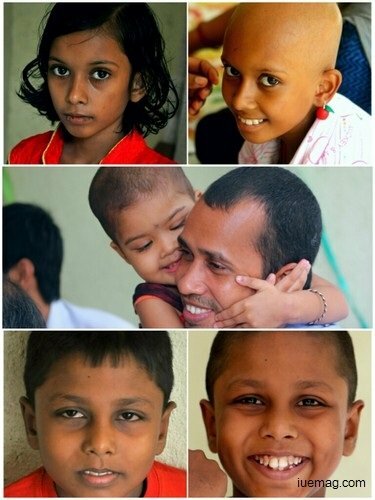 Access Life is an NGO that is committed towards working with underprivileged children undergoing cancer treatment. The aim revolves around fighting the evils of cancer as well as providing a hygienic, happy and nutritious environment for the children. “Our centre is one big family supporting each other through a tough time,” says Girish Nair, the Founder and Chairman of Access Life. Usually, the treatment of cancer might last for two years or more, but the patients aren’t hospitalised for the whole period. If not given a proper treatment and an infection free, positive environment, they might take longer to come out of it. Hence understanding this gap which doesn’t prove to be good while the treatment period, Girish along with his team came up with an idea of an NGO where specially the children suffering from this deadly disease can get a hygienic protected accommodation which is beyond their means and often these hapless families land up on streets next to the hospital where the child is being treated. “The filth and squalor leaves them vulnerable to opportunistic secondary infections, which often leads to hopeless parents who abandon treatment altogether,” Girish explains the essentiality of coming up with Access Life, which is a Patient Care Centre in Chembur, Mumbai, where they provide accommodation to the cancer struggling children and their families completely free of cost. “For parents, having another set of parents by their side whose child is going through the same trauma gives them the emotional support they require as they empathize with each other in their troubled time,” they believe. “Having extensively volunteered with various Cancer NGOs, we got a chance to visit the hospitals treating children for cancer and saw a number of patients living on tiny mats and pieces of cloth awaiting treatment right outside the hospital as they cannot afford accommodation. Unable to see this and wanting to reach out to such unfortunate families, we launched Access Life and provided them with the necessary nutritional support, counseling and transport services to the hospital,” says Mr Ankeet Dave, the executive director at Access Life. The process of approaching and spreading the cause started with the word of mouth and then carried forward by the help of technology and social media. In a country where care for the needy, has long been accepted as dismal, at best, Access Life is working to not only fill in a large unmet need, but also to fundamentally change this mind-set. Access Life as an organisation is still in its infancy. We will be completing our first year in June 2015. Initial funding of the corpus has been met through the donation from the board of directors. For raising funds as for today we have taken up a few activities on a comparatively smaller scale. Some of those activities are: Making Rakhis during Raksha Bandhan & making Diyas during Diwali; which were sold as a product to friends & relatives. Most of our visitors have been keen to make donations mostly on the lines of grocery, milk and reimbursement of transportation for travelling to the hospital, basic expenses required for the families staying with us. “We started our Art Based Therapy sessions under the name of ALAG (Access Life Arts and Gaana) and invited people in and around Chembur to participate or come as an audience. We must say, it worked wonders as not only did this therapy prove to be very beneficial for the children but also helped us reach a larger audience in our vicinity. Our audience enjoys our ALAG programs and sometimes even plan workshops themselves. We have some wonderful bands, musicians, sand art artist and many talented individuals who host a show for our centre,” mentions the team. The very first major hurdle for this highly active team was finding a place for Access Life. Having searched high and low for a perfect place right from small apartments to various bungalows and hospitals, they were dismayed to a point when it was six long months to the search but in vain. Then, one day, they stumbled upon Mr. Gupta who turned out to be very keen and blessed them with a beautiful location, far from the hustle and bustle of the city and a very nice compound for the children to play in. The experience was very saddening as the reactions were the worries about the disease spreading amongst them if they lent out the place for the cause. That dismayed the team over the lack of awareness about cancer or its effects. With an aim to educate the masses about Cancer as well as to create awareness about Access Life, the team conceptualized and printed the Access Life 2015 Diary. This diary helped them to connect to various corporates and most importantly more like minded individuals who felt strongly about the cause. Though the main aim is based on providing the patients and their families with food and shelter, the team at Access Life strives to provide a 360 degree care centre for overall development and a home away from home feeling. Teaching skills to parents to supplement income back home. “It goes without saying that our biggest milestone is three kids returning to their homes on completing their chemotherapy cycle successfully and moving swiftly on the road to recovery. Also, we take pride in saying that the positive impact and difference we could make in the lives of our children and their families is one of our biggest accomplishments,” says the team at Access Life who thoroughly believe in the spirit of team work. At Access Life they believe that taking out time is just as valuable a donation as money. One can celebrate a birthday, a happy event, sponsor a dinner or lunch or just spend time reading stories or playing an instrument at various NGOs. The NGO provides a comfortable living area for eight families. There doesn’t go a day when they do not receive a call for a child’s accommodation. Hence the goals set are to grow from 8 beds to about a 100 in 3 years so as to help many cancer affected children. “Giving back to the society not only helps the less fortunate but also instills values such as compassion, empathy, kindness and love for all, in a person. The feeling of helping another is a beautiful one and we do believe everyone must experience the wonderful feeling at least once in their life,” says Girish Nair.